Melt the butter with the extra virgin coconut oil in a skillet over medium-high heat. Cook the peppercorns in the mixture until they soften and pop, about 5 minutes. 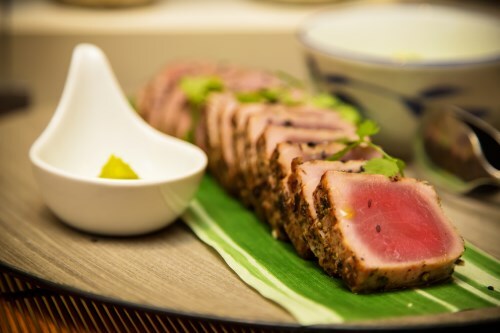 Gently place the seasoned tuna in the skillet and cook to desired doneness, 1 1/2 minutes per side for rare.